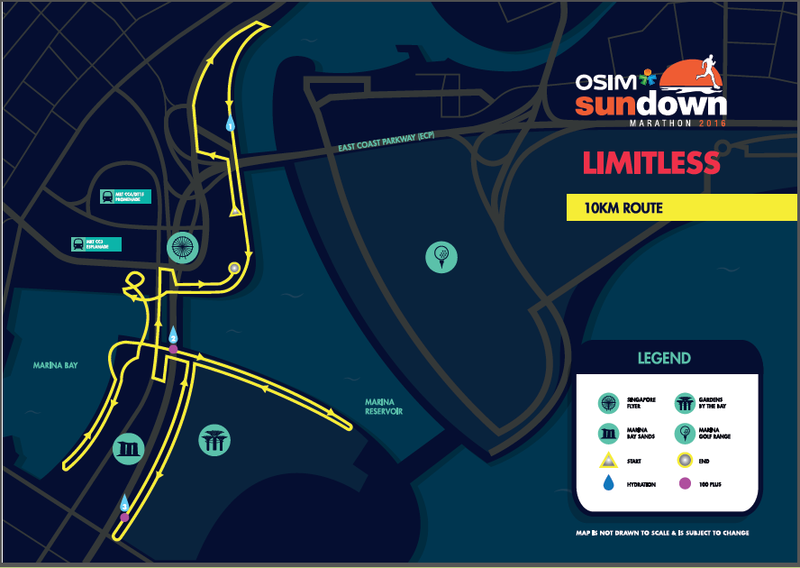 Race Review: OSIM Sundown Marathon 2016 [10km] (by Moses) | JustRunLah! Disclaimer: In return for a sponsored race slot by JustRunLah!, here is my review of the race. This year’s edition of the Sundown Marathon featured multiple distances – though this time with the addition of a 5km non-competitive race to the existing competitive 10km, Half Marathon and Full Marathon distances. As I am not particularly comfortable with running at night (I prefer daylight visibility and I love my early bedtimes! ), I opted to participate in the 10km category. 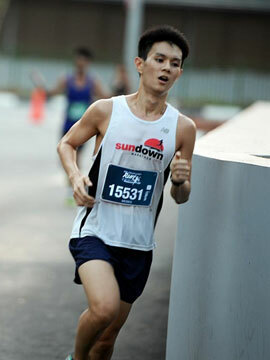 Race Entry Pack Collection was held from the 20-22 May from 10am-8pm at the Suntec Convention Halls. Late Collection was also made available, particularly for overseas participants, at the event site itself on the day of the event. There were complaints of lengthy queues at the late collection. However, when I dropped by around 8.15pm, the queues for collection seemed non-existent. Flag-off for my category (10km) was at 10.00pm. Baggage deposit was available without much of a queue (I deposited my baggage just before 9.20pm). As the F1 pit building was situated right beside the Singapore Flyer, I conveniently made use of their (air-conditioned!) restrooms instead of portable restrooms provided by the organisers. 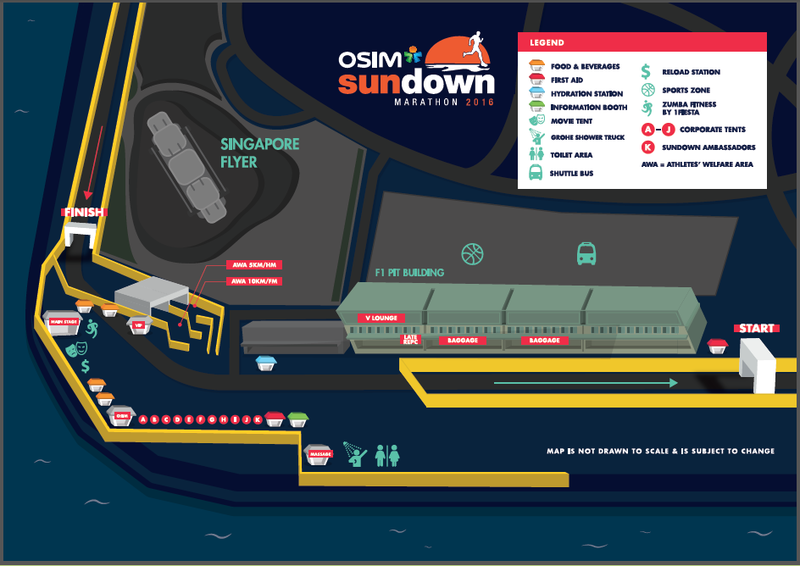 Here’s the layout of the race precinct. The Race Precinct. Credit to Sundown Marathon’s Race Guide. Flag off, according to my watch, was at 10.01pm. The initial portion of route was adequately wide (bearing in mind that I had positioned myself quite near to the front), hence I encountered minimal obstruction. The 10km race route was actually pretty loopy. A few notable challenges included the darkness (expectedly) and the presence of a flight of stairs which runners had to descend just before the 4km mark. Other than that however, the route was largely flat with the exception of some bridges. You turn, and U-turn and U-turn…and you turn again (and again). Credit to Sundown Marathon’s Race Guide. A total of 3 hydration stations were available across the 10km route, with the latter two serving both chilled 100 Plus and plain water. Distance markers were present throughout the route and though I don’t seem to recall many direction signs, there were volunteers dispersed across the route to guide runners accordingly. What I really did like was the accuracy of the race distance. Measured on my Garmin FR15, the distance came about to be exactly 10.0km! Have a look below at my route data from Strava. 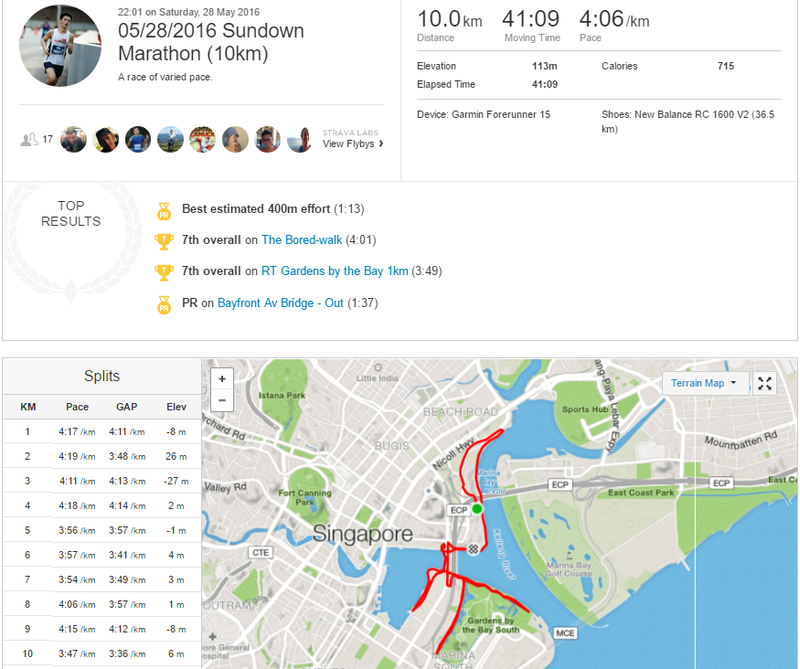 This contrasts to one of the previous 10km races I had participated in, The Performance Series Race 1, which had a drastically inaccurate race distance for its 10km category. 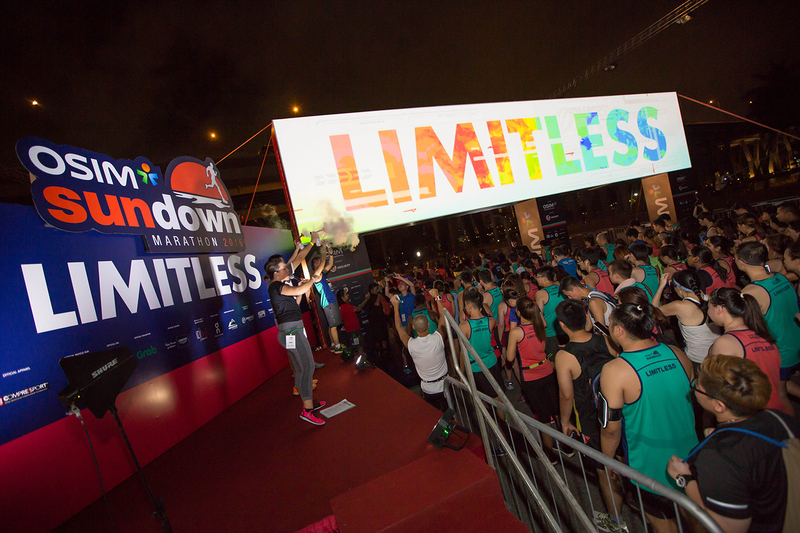 Cover photo credit: Sundown Marathon’s Webpage.